The origin of Spider-man might be one of the most retold stories in comic history and the latest version continues with Giant Size Spider-man #1 which also contains some other unmissable tales. Young Peter Parker is the high school bullies’ favorite target. But all that changes the day a science experiment goes wrong, and Peter begins to transform! When a personal tragedy teaches Peter a harsh lesson in responsibility, he must find the inner strength to become a hero! 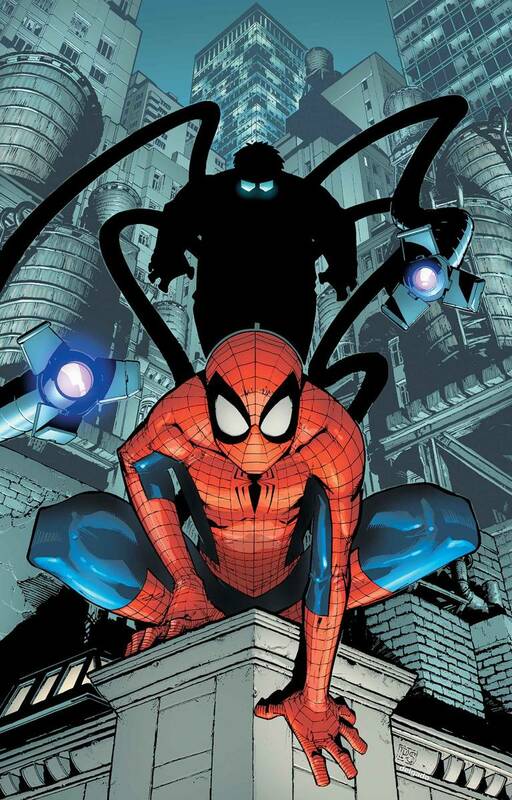 Can the brand-new Spider-Man master his new powers in time to take on the villainous Vulture? When a giant robot spider attacks New York, Spider-Man must prove his innocence by tracking down the scientist responsible: the diabolical Dr. Octopus! When the sinister Sandman assaults Midtown High, it’s up to Peter to stop him – even if must risk revealing his secret identity! Four titanic tales set in Spider-Man’s past!